Interested in attending the 2019 ATLA Annual Conference? 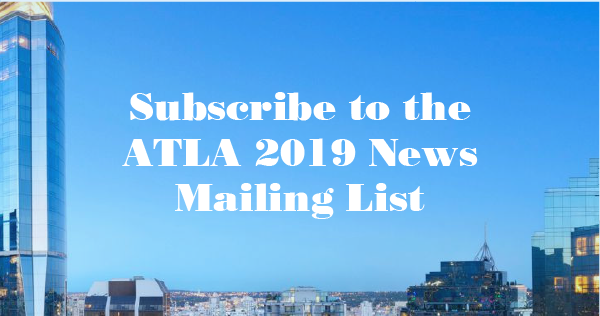 Sign up to the ATLA 2019 News Mailing List and receive emails on the latest news surrounding the ATLA Annual Conference in Vancouver, British Columbia, Canada, June 12-15, 2019. We promise to not overwhelm your inbox. You will also be able to unsubscribe from the email list at any time.